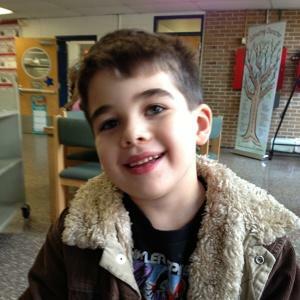 When the names of the victims of the Sandy Hook Elementary School tragedy in Newtown, Connecticut were announced, Jewish media outlets immediately published articles about the youngest victim Noah Pozner, the Jewish 6-year-old who was laid to rest earlier this week in a traditional Jewish funeral officiated by the family's rabbi, Shaul Praver of Congregation Adath Israel in Newtown. As if the story of this tragedy couldn't get any worse news reports have surfaced that individuals have sought to capitalize off the Pozner family's heartache. A man named Jason Martin rushed to purchase the internet domain noahpozner.com. After the Pozner family had the noahpozner.com website transferred to its ownership, Victoria Haller, Noah's aunt, emailed Martin. He wrote back that he'd meant "to somehow honor Noah and help promote a safer gun culture. I had no ill intentions I assure you." The purchase of noahpozner.com wasn't the least of the surprising acts done by individuals not associated with the Pozner family. It was what was published on that website. Adding to the grieving family's sorrow, someone the family didn't know began soliciting donations in Noah's memory, claiming that they would send any cards, packages and money collected to his parents and siblings. An official-looking website had been set up at noahpozner.com, even including petitions on gun control. According to an AP story, Noah Pozner's uncle, Alexis Haller, "called on law enforcement authorities to seek out these despicable people. These scammers are stealing from the families of victims of this horrible tragedy." Noah Pozner's family learned of the scam after a friend received an email asking for money for the family. The email was poorly punctuated and listed an address for donations with which the Pozners where unfamiliar. While scams such as this one against the Pozners are all too common following a tragedy, it is still disturbing to the majority of people who live ethically. It is also outrageous that this family in mourning should have to deal with such a travesty and be hassled with having to deal with these scammers. Ken Berger, the president and CEO of Charity Navigator, was quoted in the AP article. He said, "It's abominable. It's just the lowest kind of thievery." The noahpozner.com website now displays the eulogy his mother delivered at his funeral as well as several photos of the adorable 6-year-old who loved tacos. 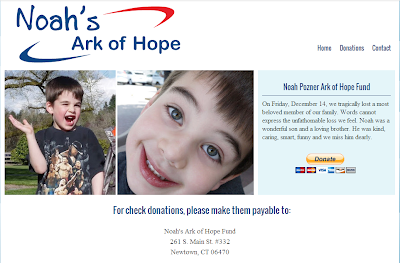 Donations to Noah's Ark of Hope can be made on the site and a disclaimer clearly states that "This is the only official website for payment to directly and solely benefit the siblings of Noah Pozner." Abominable and sad. Scammers should be prosecuted and punished without mercy. Of course hearing that someone is trying to scam the Pozners, and probably some of the other victims as well, just increases the pain at this time. But it wasn't clear, is the Ark of Hope the official website that the Pozner family set up? By the way, the JNF has organized planting trees in memory of all the victims of this tragedy (www.jnf.org). Thanks for your blog, informative as always. Yes, Ark of Hope is the official website and fund set up by Noah Pozner's family. I also encourage people to plant trees in honor of Noah's memory through the Jewish National Fund (JNF). Thank you for letting us know about planting trees with the JNF. We just sent one. May all their memories be a blessing to those mourning during this difficult time.